You want your kids to be able to take care of themselves, do things on their own and become responsible for their actions. A great way to do this is by getting kids to do chores. Chores teach kids personal responsibility, setting goals and achieving them and learning essential life skills that can definitely help them when they get older. In this post, you’ll learn age-appropriate chores for kids and how to get kids to do chores. 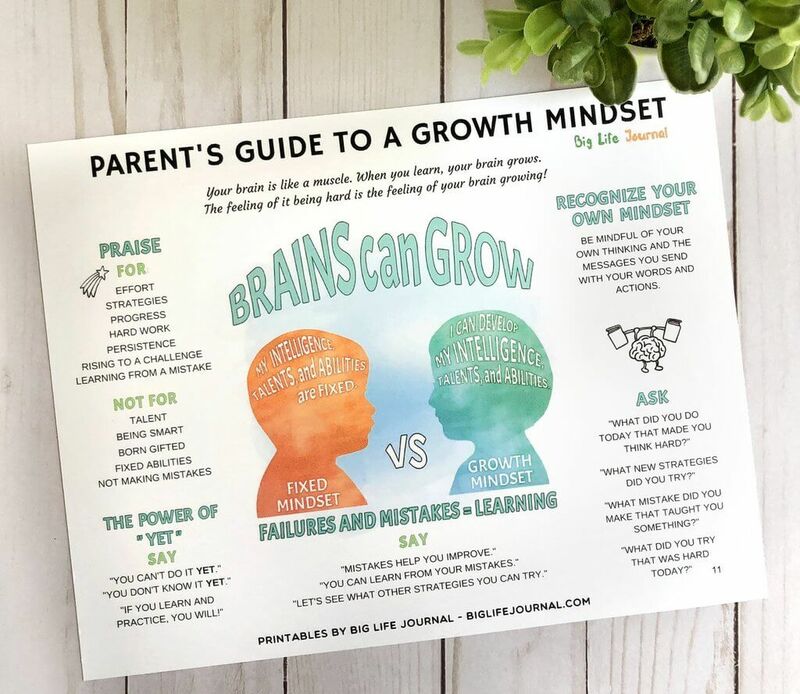 FREE Growth Mindset Printable for Kids! Before we talk about chores by age, let’s take a moment to discuss getting your kids to do chores in the first place. This is going to be challenging especially if your kids refuse to do any chores. It will make a big difference if your kids know the importance of sharing household chores. Make them realize that chores are part of their personal responsibilities. Kids doing chores are most likely to become high achievers in the future because they are trained to be responsible at a young age. But getting kids to do chores is a tough job. You have to be consistent, don’t do the cleaning up for them if they take too long or don’t want to do it. If you told your 12-year-old daughter to change her bed sheets, leave it there until she does it. If you have rules about consequences for not doing chores, see them through as soon as the first time they missed the chores. Your kids will soon learn mom needs business and they need to keep up with these responsibilities. A cute printable chore chart will be a big help to make chores more fun for your kids. Many parents are not aware of age-appropriate chores for kids and that is a mistake because they are waiting for too long to have their kids doing chores. There are chores for a 3-year-old and you’ll be surprised at what your kids can do. Start them young and it will be easier to get them to do chores as they get older. Your child is not going to do the chores perfect every time, but it is the effort that is most important. You can supervise some of these tasks so that you know if something needs to be re-done when they leave the room, such as a kid doing dishes and not cleaning something all the way. However, with things like folding laundry and making the bed, don’t worry if it isn’t perfect. If you judge them for this, they will lose all the motivation to keep doing chores. Make sure your kids know that they are doing a good job. They are motivated when they see that they can help and you appreciate their efforts. Use a chore chart to keep up with your kid’s improvement in doing chores. 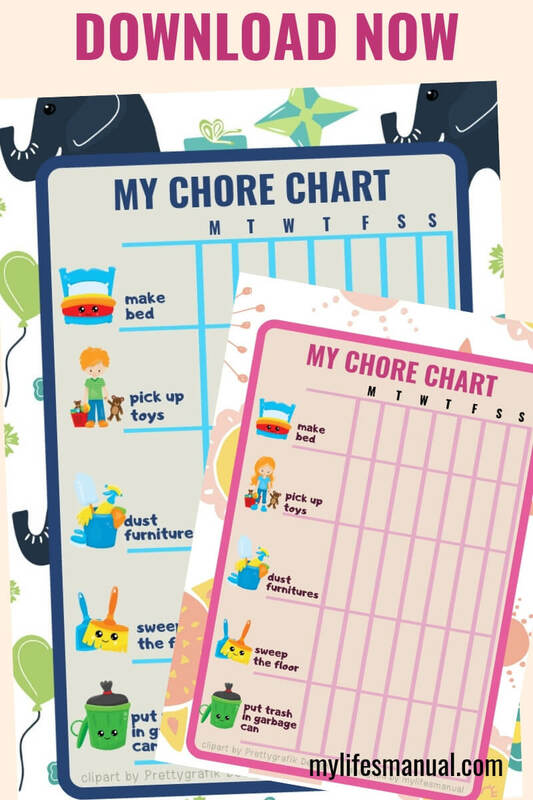 Chore chart also helps kids have fun doing chores. This is an individual choice, but many parents find that giving their kids an allowance works great. Some parents do feel that this is teaching kids they will get a reward every time they do something that should already be expected, while others believe it teaches them good work ethic for the future. This is really your choice, but you might want to consider an allowance, at least for older children and teens. When your child reaches about 2 or 3 years old, they are usually old enough to do some smaller chores. This is a good age to get started so they can begin learning personal responsibility. Keep in mind they won’t be able to do everything themselves, but it is a great age to have them help you with things. You can have your younger children start helping to pick up their toys and blocks when they’re done playing and start helping you make the bed. They won’t be able to completely do it on their own, but let them assist you while you make it. Kids at this age should also be able to help with spills, feed the pets with your supervision, and put their dirty clothes in the laundry basket. When they get a little older, they can start doing more things on their own. This includes doing more of making the bed, being responsible for picking up things in the living room and bedroom, and getting dressed on their own. Children of this age should also be able to help with some things in the kitchen, such as stirring or putting dishes in the dishwasher. They can help outdoors by watering plants, raking leaves and putting them into bags, putting away groceries, and taking dirty dishes from the table and putting them in the sink. 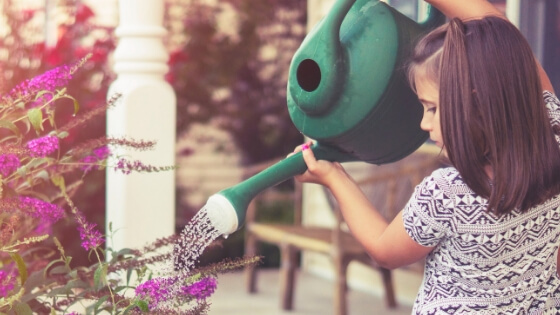 By the time your child reaches first or second grade, they should already be comfortable with doing chores and on their way to being capable of doing even more around the house. This includes chores they have already started doing but now can do without supervision. This is a great age because your kid is starting to become more independent. They are choosing their own clothes, helping with laundry and dishes, and hopefully making their bed and cleaning their room each day. You can also add a few more chores, including preparing easy meals completely on their own, washing the car, and cleaning their bathroom. By the time your child reaches their pre-teen stage, which is between 11 and 12 years old, they are doing many things on their own. This is the age where you should expect your son and daughter to start doing their own laundry. You can still supervise them to make sure they use the right amount of soap and select the right setting, but for the most part, it is a chore they can handle on their own. When you have teenagers in your home, you are starting to prepare them for adulthood. You want to teach them as many basic skills as you can before they reach 18 so that by the time they go to college or move out on their own, they know how to take care of themselves and their home properly. This is done through various chores around the house. For 13 year-olds, you want to start introducing them to life skills, in addition to the chores they have already been doing. Of course keep having them make their bed each morning, do the dishes, and continue working on their own laundry. However, they should also start doing some things they will need to handle on their own as an adult, such as replacing the bag in the vacuum cleaner, ironing their clothes, mowing the lawn, and possibly even doing some minor repairs around the house. Aside from changing a light bulb, a 13-year-old can also help with things like hammering nails, as long as they have supervision. Continuing with these types of lessons, have your 14 and 15 year-olds do more home chores as well. 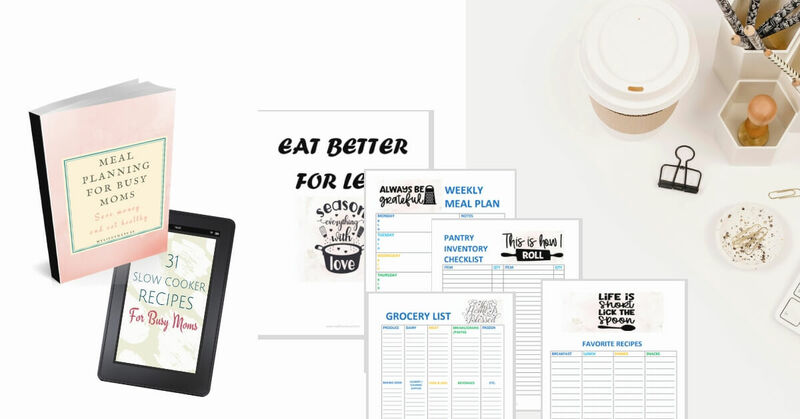 For example, you can have your son start preparing more elaborate meals from recipes he finds and has him do the grocery shopping for ingredients. You can let your daughter start babysitting for neighbor kids or wash the outdoor windows in your home. These are life skills that help your teens take care of themselves. By the time your teens reach 16 or 17 years old, they should be doing everything you are doing. This includes being able to clean out the refrigerator, do any housework or yard work, wash cars, make a grocery list and shop on their own, and do deep cleaning around the house. This is also a good age to start teaching your teens about financial budgeting. Continue introducing new chores to your kids each week and add to the chore chart. They shouldn’t be doing all household duties but helping out so they can learn how to do things on their own. By the time your teens move out of the house, you feel confident they know what they are doing. I am happy to learn more about age-appropriate chores if you have more to add in the list your comments are very welcome. If you like this post, feel free to share it with your friends. I would appreciate if you can share it on Pinterest. Don't forget your free kids chore chart. I did chores as a kid and it helped me have a great work ethic! I did chores as a kid and it gave me a great work ethic.